Western media focused heavily this month on the current state of Belarus’ economy and financial market. In addition, the anticipated removal of Canadian sanctions might serve as a stepping-stone for other Western nations to re-evaluate their current sanctions against Belarus. In other news: the construction of a new nuclear power plant in Belarus has caused controversy across the globe as we remember Chernobyl. U.N. human rights experts are also displeased with the recent execution of a prisoner, the results of Belarus’ Eurovision contender. All of this and more in the newest edition of the Western Press Digest. The Government of Canada is recognizing Belarus’ role – The Global Affairs Canada rewards Belarus for their facilitation of the Ukrainian ceasefire negotiations and peace agreement. This recognition will be seen through the removal of sanctions against Belarus, which have been in place since 2006. In addition to Belarus’ assistance in the Ukrainian crisis, Canada is also recognizing the release of political prisoners and closer adherence to international regulations during the October 2015 presidential election. Belarus’ potential bond deal will hopefully help the economy – Reuters reports on the potential sale of $ 1 billion of bonds at yields under 7 percent. As the result of economic decline in the last two years, Belarus is hopefully that a $ 3 billion support programme with the International Monetary Fund (IMF) will boost its economy. Currently, there is no anticipated timeline for an agreement with the IMF. 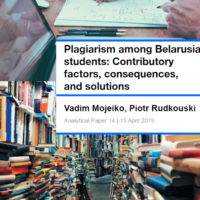 Impact of Russia’s recession and low commodity prices on Belarus’ economy – The World Bank has recently released an economic update report on Belarus which focuses on potential policy reforms that could help increase productivity and employment growth in Belarus. Specifically, expansion into new markets coupled with the upgrade of internal goods produced will require state-owned enterprises (SOEs) to restructure. This restructuring will hopefully assist with a return of competitiveness in the market with the goal of reduced support from state subsidies. In addition, increased foreign investment through joint ventures and reforms will ultimately help foster growth. Government spending cuts for June – The proposed cuts by Finance Minister Uladzimir Amaryn are anticipated for June of this year. Amarin wishes to cut government expenditures by 7-8%. The cutbacks are a result of revised budget calculations for oil barrel prices, as confirmed by Reuters. The increase of overdue loans is placing strain on the Belarusian central bank – Bloomberg reports on the Belarusian central banks growing concern of increased pressure on the financial industry as a result of overdue loans. The bank has tried to stabilize the financial system through controlling the money supply in addition to relaxing the exchange rate. The ultimate goal is to restore the general populations’ trust in the Belarusian Ruble. 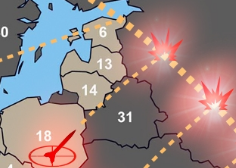 Belarusian Parliament introduced a new military doctrine – DefenseNews discusses Belarus’ new military doctrine, which prohibits the Belarusian military from engaging in foreign operations. Armenia has criticised the passing of this doctrine as it challenges the obligations set forth by the Collective Security Treaty Organisation (CSTO) established in 1992. Armenia’s concerns come as a result of renewed conflict in Nagorno-Karabakh. The resurgence of military activity between Armenian and Azerbaijani forces has undoubtedly caused Armenia to re-validate current security agreements to ensure allied support. Anti-government opposition calls on Belarus’ prosecutor to ban the Russian biker club Night Wolves – The Belarusian People’s Front party is advocating the ban of the pro-Putin Russian biker club Night Wolves. The club has been accused of extremist behavior resulting in the Polish Government denying them access to journey through Poland for their yearly recreation of the Soviet Red Army’s march towards Berlin in WWII. The journey through Belarus is an integral part of the Night Wolves’ recreation of the Soviet march. The club had not seen any resistance from Belarusian authorities until the request was issued by the People’s Front as reported by Newsweek. Belarusian charged with fighting alongside Ukrainian extremists – Radio Free Europe/Radio Liberty confirms the sentencing of Taras Avatarau to five years in prison following a Minsk district court ruling. The accused stood trial for assisting the Ukrainian extremist group the Right Sector through trafficking weapons and other explosive materials. In addition to trafficking, Avatarau was cited as engaging in combat against Russian separatists in Ukraine’s regions of Donetsk and Lukansk. The Right Sector has been labeled and banned in Russia as a terrorist organization. Belarus execution criticised by U.N. rights expert – The Associated Press reports on the reaction from U.N. human right experts about an execution of a suspected murder in Belarus. The execution of Sergey Ivanov on 18th April, has re-surfaced discussions around Belarus and continued human rights violations. The victim’s brother had appealed to the committee on the grounds that Sergey’s trail was unfair. This event serves as a reminder that Belarus remains the only country in Europe that continues to apply the death penalty. Belarusian Eurovision entry Ivan has been criticised – The Telegraph reports on Eurovision’s contestant Ivan for his desire to perform on stage naked while accompanied by two live wolves. Ivan’s vision for his onstage performance was a clear violation of Eurovision’s staging rules. Ivan’s last competition was held on 12th May for the second Semi-Final. Ukrainian singer Jamala won Eurovision on 14th May. The construction of a new Belarusian nuclear power plant – The BBC examines the construction of a new nuclear power plant in Belarus near the town of Ostrovets in the Hrodna Voblast. The construction is reminding the world of the events that transpired in Chernobyl in 1986. The Government of Lithuania is interpreting the construction of Ostrovets, which is roughly 50km from Vilnius, as a security threat. The BBC outlines the design of the plant in the April version of BBC Magazine. An international criminal conspiracy – The Pittsburg Post-Gazette discusses the usage of computer malware the arrest of two citizens of Belarus in Westmoreland County, Pennsylvania. The suspects, Aleskey Yaroshevich and Egor Pavlenko were arrested by the FBI as part of an initiative to halt the theft of money through the distribution of malware software on the Internet.